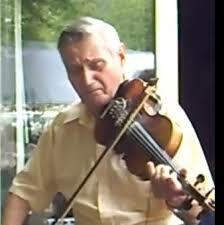 Billy Rich is well known fiddle player from Western Pennsylvania who works with Tony Barge and many other musicians. Billy has worked on the staff band of the WWVA Wheeling Jamboree back in 1969. This entry was posted in Uncategorized and tagged Ashoken Farewell, country music, Faded Love, Fiddle, Fire On The Mountain, Maidens Prayer, Orange Blossom Special, Wheeling Jamboree, wwva Jamboree. Bookmark the permalink.